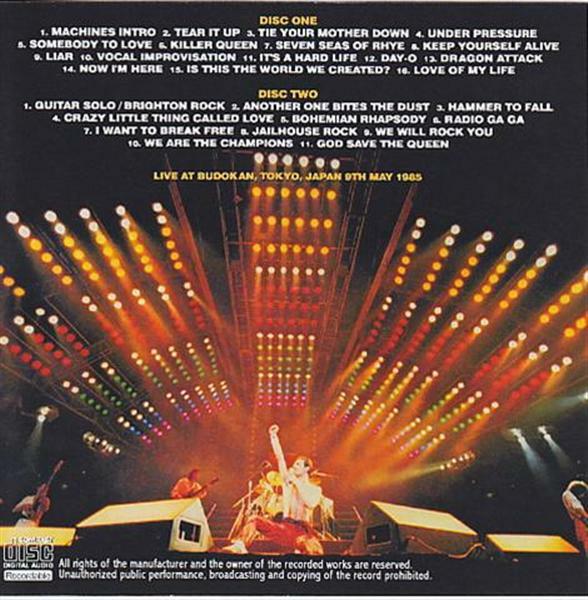 Recorded: Live At Budokan Hall, Tokyo, Japan 9th May 1985. Comments: This is a 'not on label' cdr release. A copy of the original Wardour bootleg. 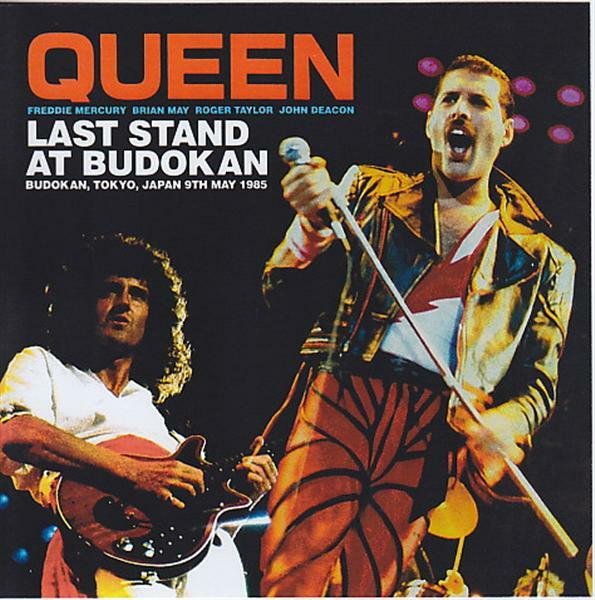 The last show at Badokan Hall in Tokyo with Freddie. Previously released on bootleg by Wardour label, with title "At Last Bodokan" 2cd (also on 4cd with original tape version).